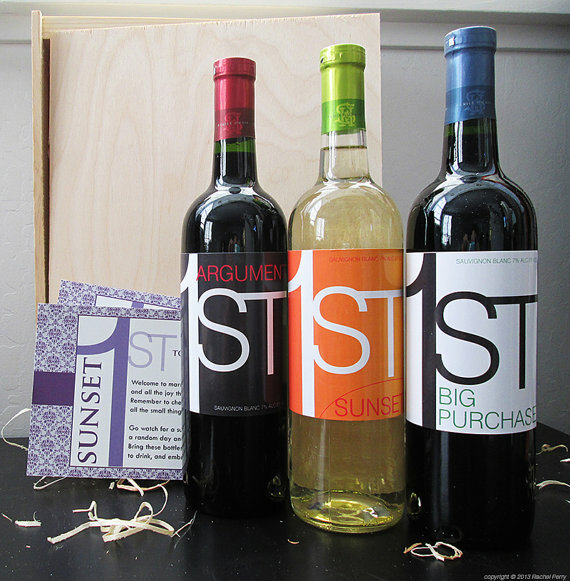 When we talked about wedding gift ideas from a to z, we showed you how smitten we were with non registry wedding gifts. 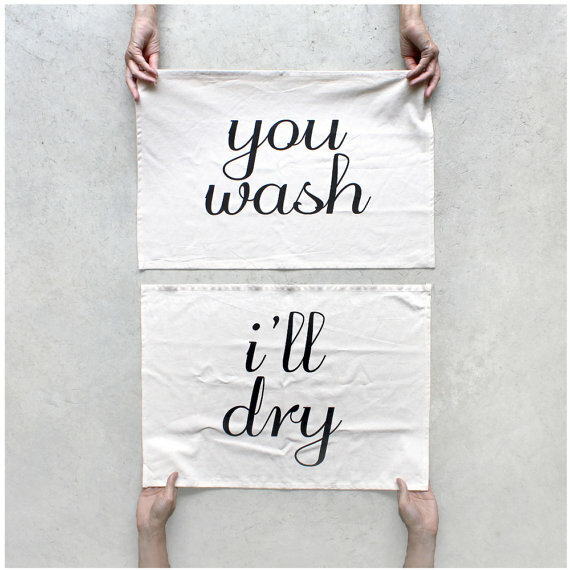 I love the wedding registry just like the next girl (BB&B was my registry store of choice), but there are some gifts you simply can’t find in big box chains… namely, handmade! 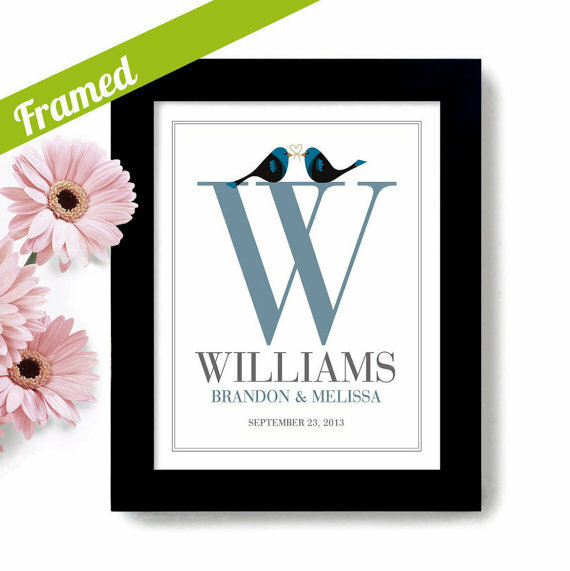 Emmaline Bride is the handmade wedding blog and we strive to promote the best in handmade wedding gifts, decor, attire, and more (see The Marketplace). 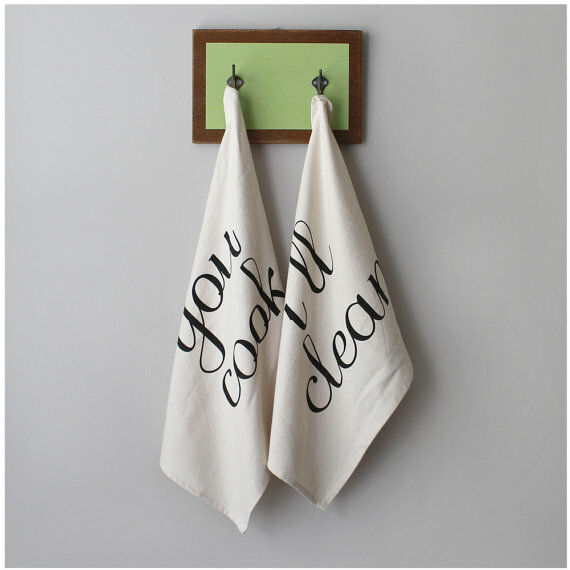 Today we’re sharing a handful of our favorite non registry wedding gifts to inspire you. Which one is your favorite? 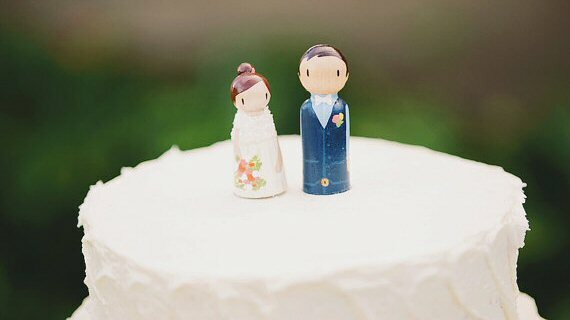 A cake topper that looks like the happy couple! It makes a great decorative piece afterward, too. I just added this to my own personal wish list. 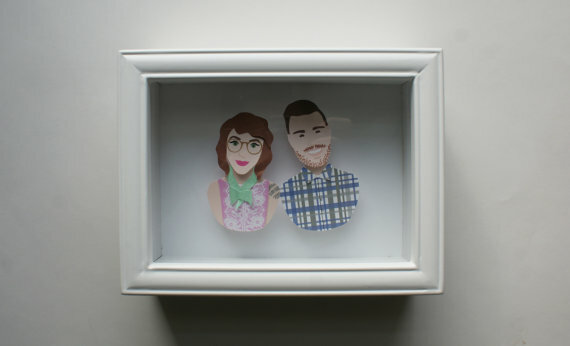 How cute are these paper cut-outs? 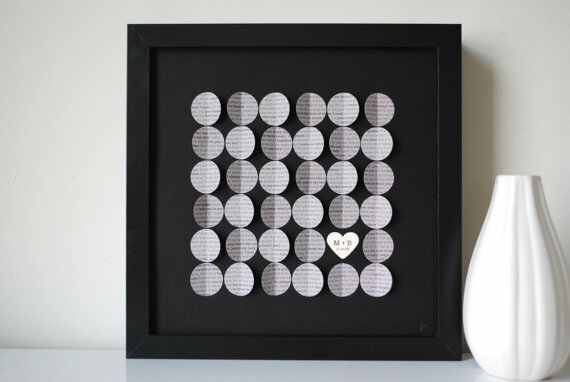 Turn the couple’s favorite song or first dance song into a work of art. 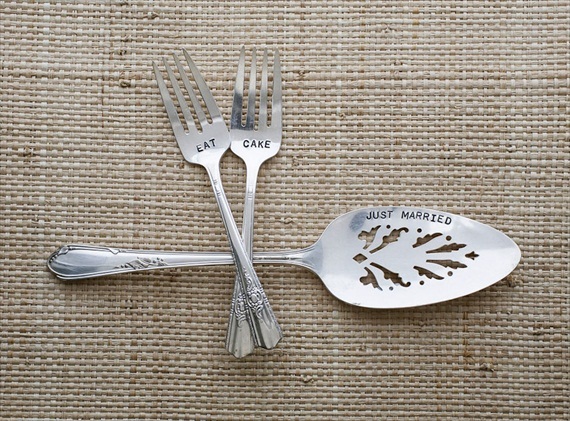 This vintage server set can be used at the wedding – and beyond. 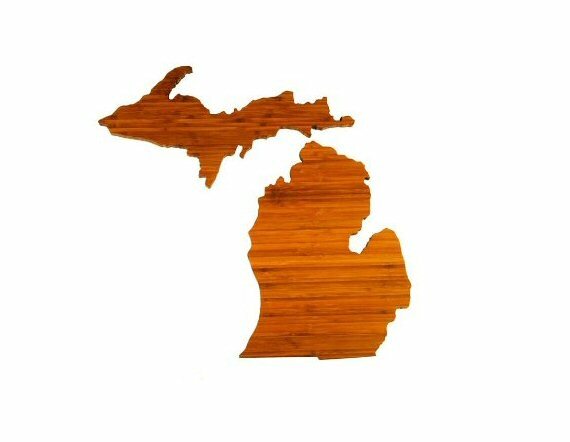 We picked Michigan for this example (obviously, we’re smitten with the mitten) but every state is available for this cool cutting board gift. 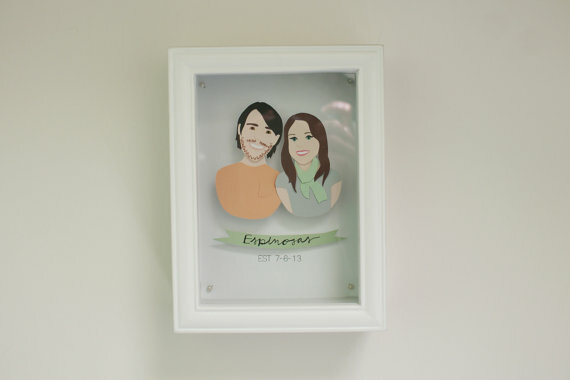 One of my favorite non registry wedding gifts is a personalized art print. Art is the perfect addition to your new nest. 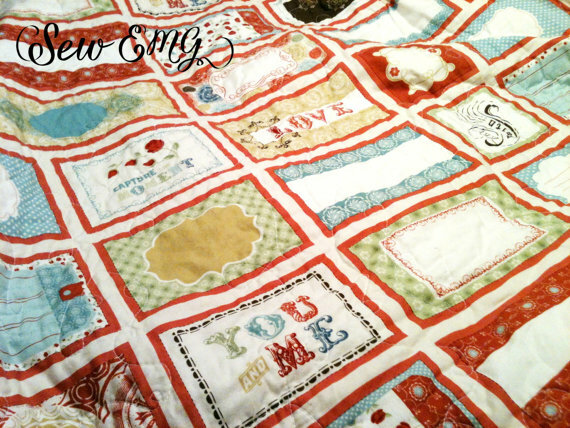 This one is being given away! See the giveaway at the bottom of this post. 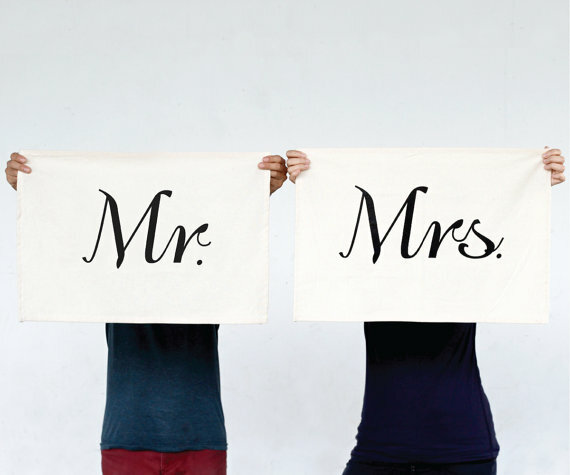 These personalized wedding quilts are a neat idea. Guests can sign the quilt squares as a makeshift guest book (if the couple wishes). 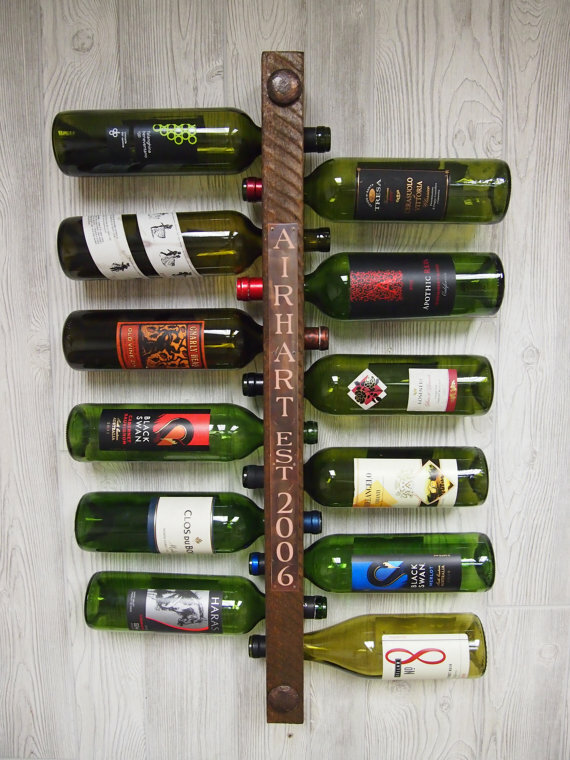 A sturdy, totally-handcrafted wine rack is an awesome gift idea for the newlyweds. 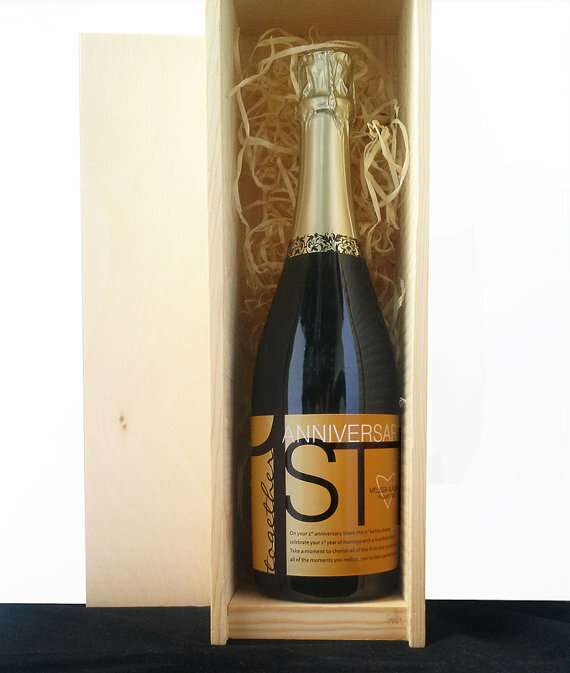 I like these champagne and wine gifts which are opened at specific times, like their first anniversary or first big purchase. Fun idea! The LOVE art is my favorite! I love the birds, but I also liked the beach chairs and the happily ever after place prints. I love the Tattoo Print. So Unique! That be true to thine self Tattoo couples print! It is SO me and my fiancé! :) made my day to see that. The Sherlocked London, England print! I love the personalized art prints. I love the Sherlock BBC Holmes Art Print – so cute! I also adore the “Our Happily Ever After Place” Print! I like the bike print… one of the hobbies we are trying together. I love the LOVE Art. I love the print with the wine bottle (Wine Gift Art Decor Personalized Framed Kitchen Art Print Bar Art)! 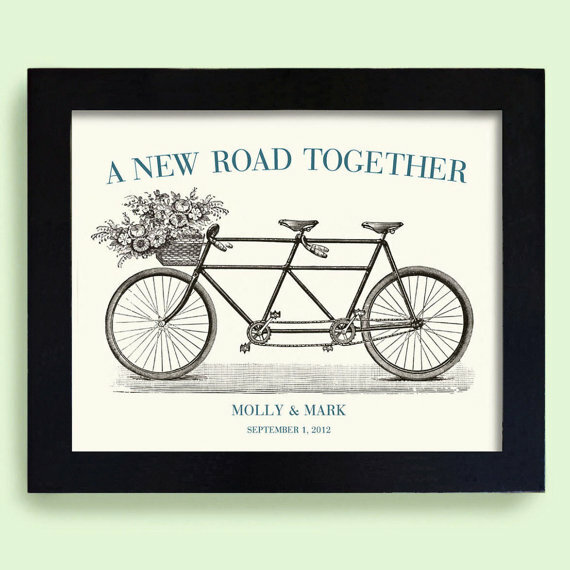 I am head over heels about the print that says “Our Happily Ever After Place”! So sweet! And great post, I will have to file these away for my other friends who are getting married soon.